Affordable and versatile. Our Onground pools are the finest available in Canada. Perfect for a yard with a steep grade. Accessories such as stairs personalize your pool to your backyard vacation experience. With the highest quality and most durable materials, these pools can withstand anything mother nature has to offer. Be it a freezing cold windy winter or a hot sultry summer. Simply designed and elegantly placed these pools enhance the style of your backyard. Let your imagination soar! The Rockwood on ground pool offers the widest range of options available today. 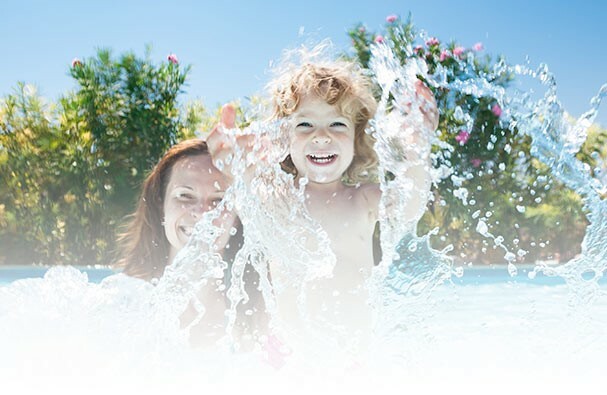 From a clean and simple Rockwood round shape to an impressive kidney shape, we have what a growing family needs to play in, with many pool sizes available to accommodate your backyard. Whether you chose an above, semi in ground or in ground installation, the Trendium onground pool will enhance your home, your backyard, and the pleasure you and your family will find for years to come. There is simply no pool that is as affordable and versatile as the Trendium Sensation pool. Not only a considerably higher strength than the competition, a higher grade alloys and standards.